Instructional Resources Center (IRC) website with course guides supporting the Division of Teacher Education curriculum. 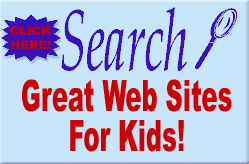 Excellent websites evaluated and selected by the American Library Association. Director, Education Library (IRC), Division of Education, Spring Hill College, Mobile, AL. The Instructional Resource Center (IRC) is located on the 1st Floor of the Rev. Gregory F. Lucey, S.J. Administration Center. The IRC includes the Education Library, computer lab, classroom and media production room. Our primary mission is to assist teacher education majors in the development of curriculum by selecting, providing access to, and instructing educators in the use of instructional resources and technologies. On this website, you'll find library guides and resources corresponding with your classes (see column on the left). The IRC supports the Division of Teacher Education curriculum with a collection of high-quality books, media and resources appropriate for pre-school through secondary education. Curriculum materials come in a variety of formats: children's and young adult literature, professional literature, K-12 textbooks and courses of study, and non-print materials including kits, games, manipulatives, educational software, and sound and video recordings. Checkout period is 21 days. IRC hours are normally 8:30 to 4:30 p.m. It is open till 6 on certain nights. Hours may vary. Please feel free to schedule an appointment with Mrs. Heim, aheim@shc.edu, 251-380-3481. Hot topics, daily education news, teacher certification, grants, information on individual schools, counties, regions. Through the Edutopia.org Web site, we spread the word about ideal, interactive learning environments and enable others to adapt these successes locally. Edutopia.org contains a deep archive of continually updated best practices, from classroom tips to recommendations for districtwide change. Allied with a dedicated audience that actively contributes success stories from the field, our mission relies on input and participation from schools and communities. Selected by the American Association of School Librarians. Student video gives overview of resources in the Teacher Education Library.